I laughed this morning when I came upon this NYT story on horoscope writers. In the ancient days when the postal service delivered slick sheets to newspaper offices with syndicated feature material [how quaint and ancient are the words in that phrase], the scheduled arrival of Sydney Omarr’s column for the Daily Press hadn’t arrived in the mail for the coming week by the Friday before. Hurried calls from the newsroom, not by me but several unlucky copy editors charged with closing out the weekend comic pages for Monday and the first part of the next week, to the syndicate went nowhere. It was too late for even “special delivery.” The best the syndicate could do, I was told, was send it first thing Monday, and it should be in Newport News late that afternoon. The Times-Herald, using a different astronomer but from the same syndicate, was in the same boat. The papers had not been merged then. Run a note explaining why Sydney wasn’t there to get people through the day or run an old column headlined “Sydney Omarr’s Greatest Hits” and say it was an old one, or have someone in the newsroom make one up [totally take news from the heavens above] or have someone write an astrology column for Sydney based upon his prognostications for that day over the past two or three years and what he had written immediately leading up to the missing column but with no byline. Now having been the person to kill the Nancy comic strip when the papers shrunk in size and something had to go and having listened to dozens of readers [often surprisingly angry and/or bitter] complaints about how they used Nancy to teach their children to read or it was the only thing their nearly blind grandfather [mother] could still see, I didn’t want the wrath of the believers in the stars upon my head, so the no column was really off the table for the DP. Myrtle Barnes hadn’t left yet that afternoon. Bill Rogers was at a conference. I explained the situation to her and said the DP was going with option three, the no byline column but based on previous predictions. 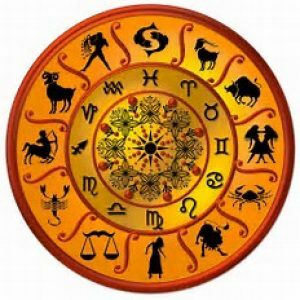 She laughed and asked if the DP side could have one for the Times-Herald in the likelihood that its astrologer continued to be missing in action. I said, not a problem. No reporter or copy editor was being ordered to churn out the forecasts; but when I started to ask around, a surprisingly large number of volunteers from the copy desk, from general assignment reporters and an assigning editor were eager to try their hand at it. With so many to choose from, I came down on the side of having a “senior copy editor,” an actual job title at the DP but not Times-Herald then, and a general assignment reporter crank out columns for Monday’s papers and, just in case, the mail gods drowned upon special delivery, spares for Tuesday. Their names are being withheld. Both papers ran the locally-inspired and written columns without bylines; and there were no complaints from the readership. There also were no complaints from the Newspaper Guild that this was an “unfair labor practice” in the midst of long-stalled contract negotiations. Who knew the two could have used this experience to move to a career on the New York tabloids?